Winter boots update, how have they worked out so far? Update: How have the Winter boots worked out so far? Whilst giving my winter boots a little attention before retiring them after another season of use, it struck me that maybe it would be interesting to hear how a few of the things I use have worked out long-term. A review will almost always be based on first impressions and a limited amount of use, so just like other aspects of life it may be coloured by fresh love and gushing words. Having used something for many a day though, has that love faltered and the cracks become apparent, or has a deep respect and lasting worship developed? 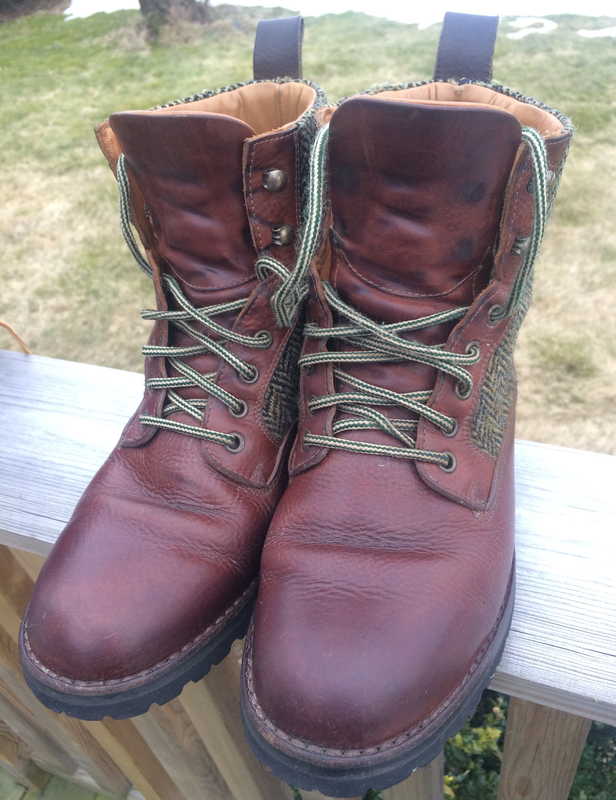 I’m sure you’re at least marginally interested in knowing, so today I’m going to look back on how life has been with my Red Wing Ice Cutters and my custom Fracap boots. The Red Wing Ice Cutters not long after I invested in new winter boots three years ago. The Red Wings have been my cold winter boots for 3 seasons now. 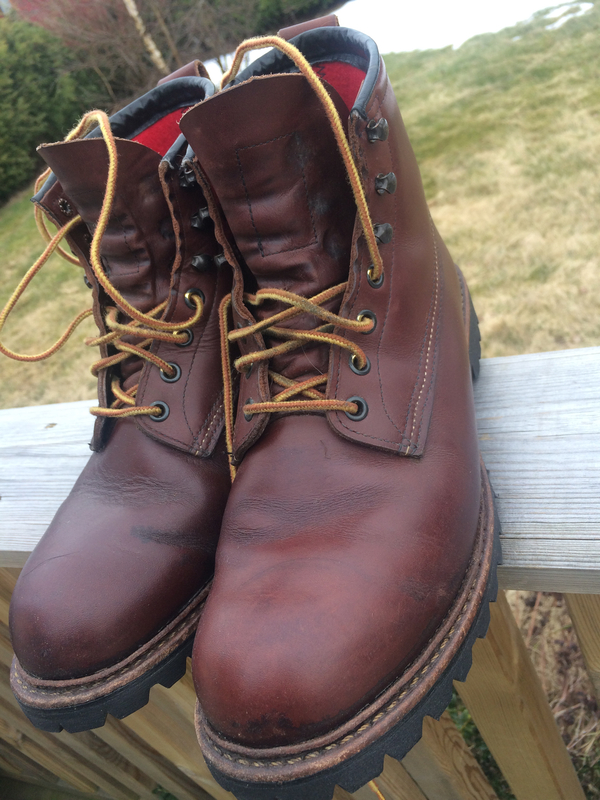 I first reviewed them shortly after buying them and at them time they were not only my most expensive footwear yet, they were also my first pair of Red Wings. No doubt about it, I was very taken by their rugged sturdiness. After three winters of use, the Ice Cutters are still looking good! And they’ve not let me down. I basically use two pairs of boots in the winter, one pair for the colder days and a second pair for the not so very cold days. The Ice Cutters are slightly overside, have a thin wool lining and the Vibram sole is stunningly good. So my feet are kept warm and my grip on snow and ice is dependable. What more could you ask for? Just a little wear on the heels. Winters have been on and off snow wise and I always tend to put wear on the heels. After three seasons the sole is still almost unmarked and as good as new. The rubber the Vibram commando sole is still shiny and soft and as grippy as the day I unboxed them. A little wear on the heel is all. This is hugely impressive. Granted, Red Wing are more workboots than fancy boots, so don’t expect truly great craftsmanship. They do appear to last well though. 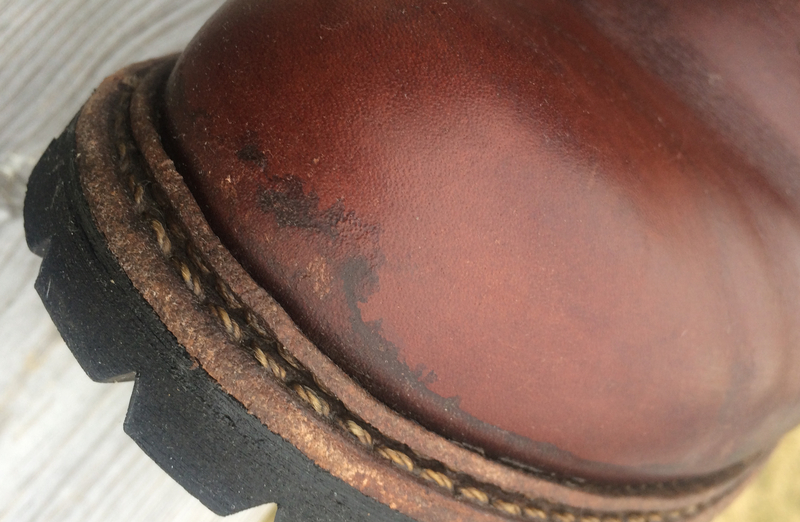 Some discoloration around the welting is the main change from new condition. The leather has held up almost as well. One tiny cut on the side is the only actual damage. Something I did notice quite early on was that even though these boots have been soaked in Red Wings own Boot Oil (to replenish the leather with the sort of oil it lost during the tanning process) and Mink Oil (to keep them water proof), water must have snuck up the edge here and there and has darkened and damaged the leather surface. Not dramatically noticeable, but once aware of it it is annoying. All in all though, the Ice Cutters have done a good job and will do so for seasons to come. That initial wad of cash they cost is at this point less than 3 pairs of low quality, low cost boots would have cost me, so from here I’m ahead in the boot game. Oh, and my father also has a pair, and he’s so happy with them that he has talked of buying a pair for my mother. So there you have it, a family of Ice Cutters. The winter boots specially made Fracaps when new. 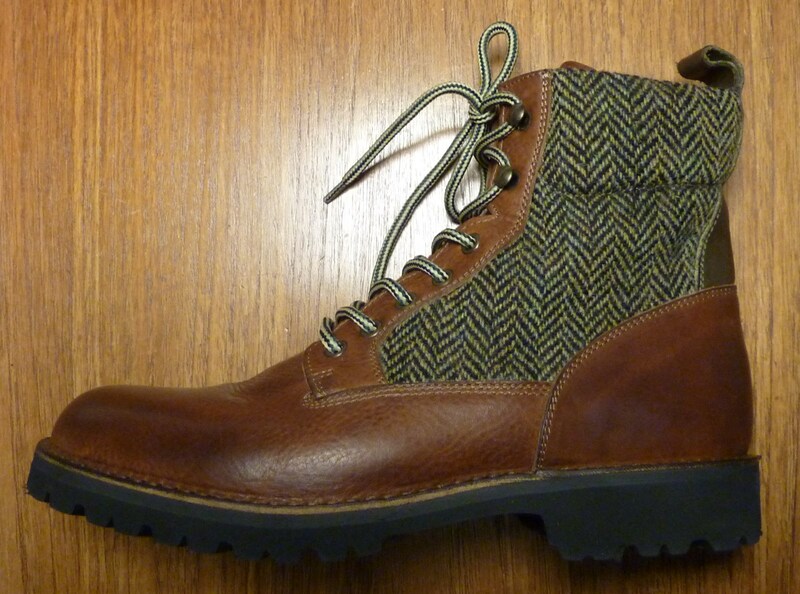 The combination of Harris Tweed and quality leather still does it for me. The Fracaps were the result of a design collaboration with the family-owned Italian footwear factory Fracap two years back. I wanted to use Harris Tweed in the design, along with the their stunning leather, excellent craftsmanship and details such as the brass hardware. 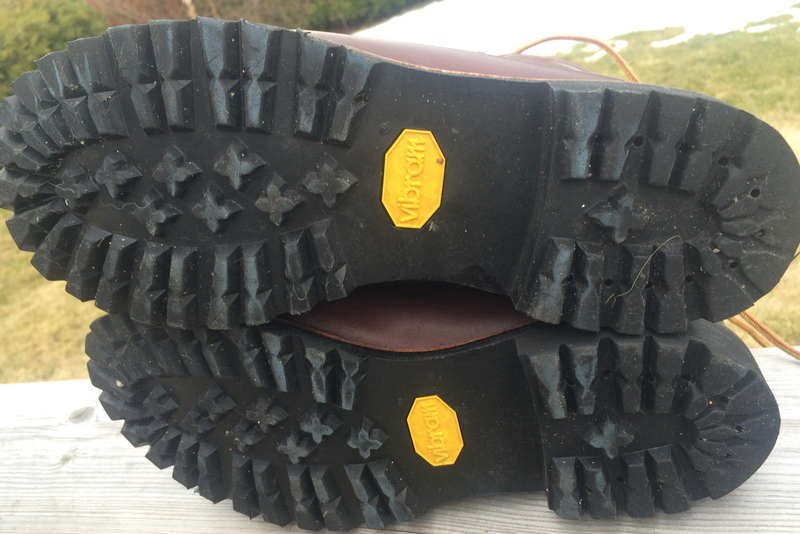 Oh, and I wanted the outsole to be the reliable Vibram commando sole, the same as on the Ice Cutters. The Fracaps are lined in leather, no extra wool insulation, so they’re not the best for when it gets really cold. For me this breakpoint tends to be around -5C. They are not oversize either, so the amount of extreme sockage that can be used is limited. Still in superb condition after two winters of use. After two seasons of use they look almost as new. No damages have occurred, the leather still looks and feels as nice as new, the tweed is still vibrant and woolly and they still feel like new on the foot. Commendable craftsmanship. The Vibram branded soles though are not faring as well. Bad wear all over the sole! Well, when I say no damage, that is only really when looking from above. From beneath it’s obvious the soles have almost expired. I didn’t actually notice this until I became aware of the poor grip on snow and ice. Studying the soles, and we’re talking the same Vibram soles as Red Wing use, it’s obvious that a resole is needed if they’re to be used a third season. Red Wings on the bottom, three winters in. Fracaps on top, after only two seasons. Quite different! So how could this be? The soles are the same, right? Yes and no, and mainly no. 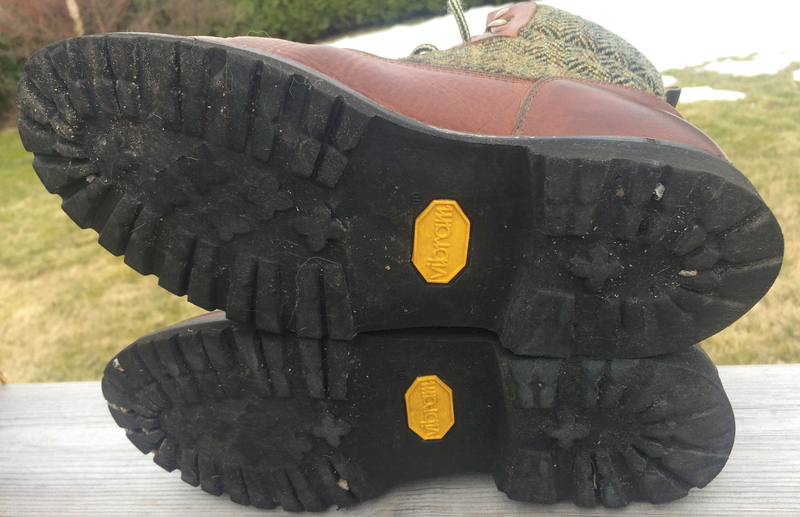 They look the same and carry the same Vibram logo, but where the Red Wing soles are crisp, shiny and rubbery, the Fracap ones were always dull, a little less defined and the rubber appeared harder. And obviously the wear characteristics are incredibly poor compared to the Ice Cutters. So, my footwear-affair with Fracap has arrived at a point that is a little less happy than with Red Wing. They’re in far too good shape to retire, so I’ll need to scout around and find someone that can resole them with a durable variant of the Vibram sole. If I can get that done, they’ll be good for a few more years at the very least. I’m still in the dark as to how two such presumably identical soles could wear so differently though. Different rubber compounds? Different production places? Maybe one is not entirely legit? Pondering such things I wonder whether the Fracaps being less heavy have been worn indoors more than the RW’s? If this may be the case, I suggest it is carpet friction that has worn thine soles out. Carpet wears soles down quicker than any outdoor surface could ever do. That is a possiblity, naturally, though I can’t think it explains in full the very disappointing wear of the Fracaps. The rubber on the Red Wings just seems more smooth and resilient, whereas the Fracaps feels coarser and drier (if you can say that about rubber?). The mold used for the Fracaps also is less crisp and less defined. Wijsman cobblers in Delft, The Netherlands should be able to do the resole for you. 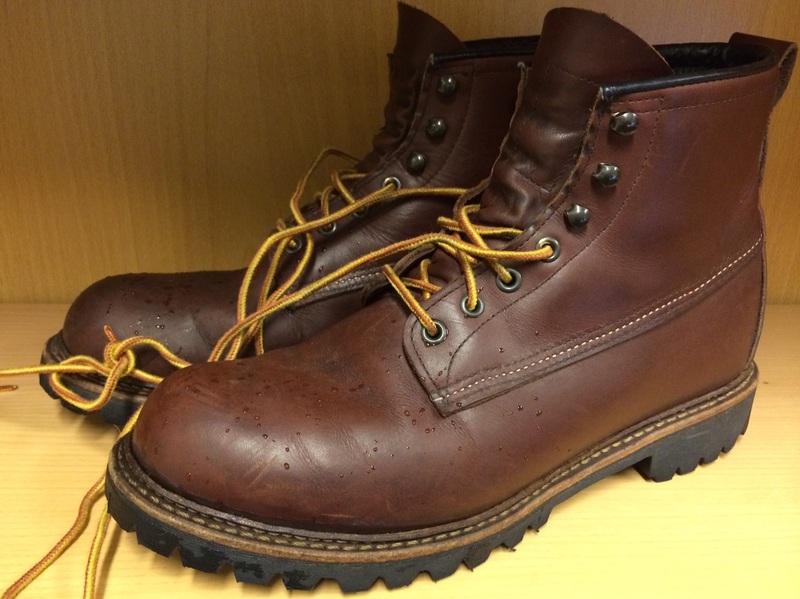 They do great work on Red Wings and have ruggedized my brogues with a Vibram commando sole. 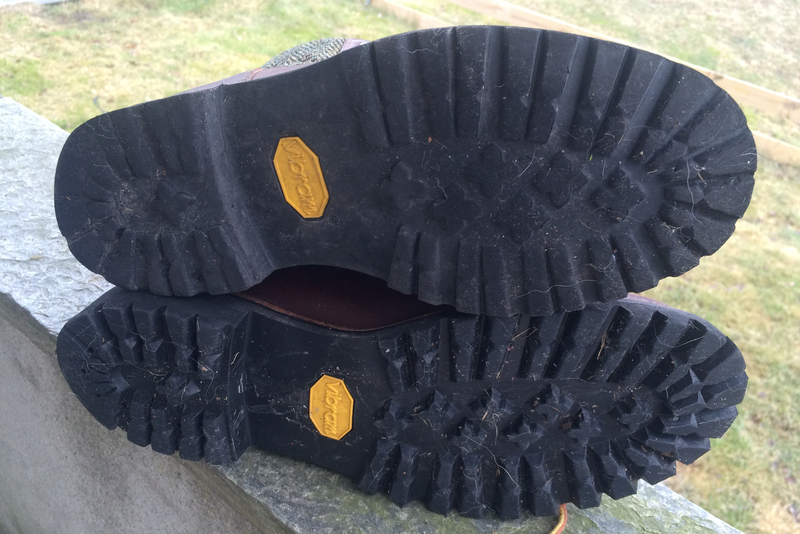 Interesting about your comments on Vibram sole units. They come in various grades depending on the use they are intended for. My La Sportiv Nepal Top four season mountain boots have Vibram Eiger sole units which are superb, longevity wise and were made with winter mountaineering and ice climbing in mind. Ice Cutter Boots sound a bit overkill, what exactly do you do in wintertime that warrants such a boot? I’m personally more into black and taller “rock edgy” kind of boots, or Docs, but these ones are awesome and worth considering too. I’m fairly sure that Vibram has manufacturing facilities in the U.S. Presumably Redwing would be using U.S. made soles and Fracap would use European made Vibram products. Different markets/factories – different rubber formulation. Vibram has MANY different sole designs, their most popular being the Vibram 100 sole (not Vibram comando). There are many different compounds that make the sole useful for different purposes. You’re ice cutters soles are made for colder climates so the rubber won’t get stuff in the colder climates. They even have a Vibram 100 sole for firefighters (mostly for forest firefighters) called (I think I haven’t checked in a while) Vibram 100 plus and it has a blue cross on the sole to signify this. To my mind the Ice Cutter follow regular Red Wing sizing, i.e. if you want them to fit with thin socks, go down a size. I use the Ice Cutter in the Winter cold, so I gave my regular size with room for wool socks. If you live somewhere with cold Winters, I would advise you get your usual shoe size.